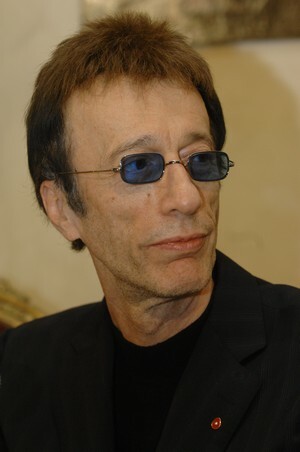 Robin Gibb is reportedly battling pneumonia less than a month after achieving remission from colon and liver cancer. The 62-year-old Bee Gee’s star’s condition is said to be so serious that brother Barry, 65, has flown in from Tennessee, America, to make an emergency visit. The teetotal vegan was first diagnosed with cancer in April 2011 after being admitted to hospital with abdominal pains, but just last month his son Robin-John – know as RJ - revealed the chemotherapy had wiped out all signs of the disease. Talking about the moment he heard the news, RJ said: "I leant over the hospital bed and I kissed him on the forehead, looked him in the eyes and just said, 'I love you'. "Then we sat together for ages, just taking it all in and being together without saying anything. It was the best news we could have hoped for. "It was the most beautiful feeling and instantly life was so, so much better."